With three already successful installations of FiberTite at other locations, Rubbermaid selected FiberTite once again for their complex roofing needs. Over 25 years ago, Rubbermaid chose Maryville, Tennessee for a new plant location. With a history of three successful FiberTite installations at Rubbermaid facilities in Ohio, Texas, and Arizona, they selected FiberTite once again as their roof solution at the new Maryville facility. 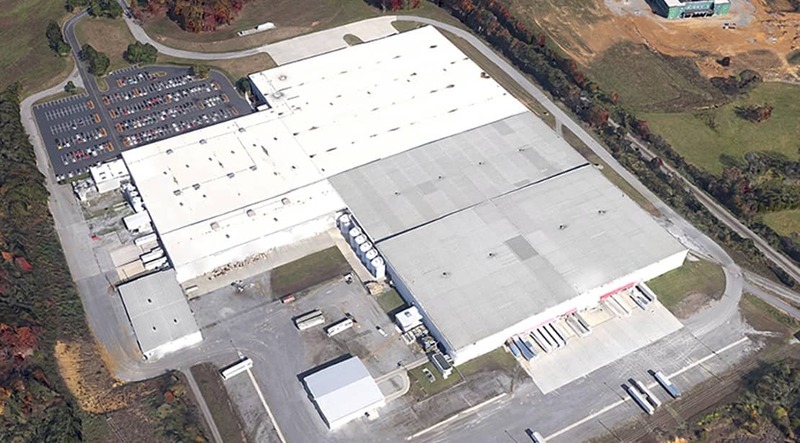 Summit BSR Roofing, located a short distance away in Bristol, Tennessee, had the experience needed for the 360,000 ft2 installation. The Rubbermaid facility managers have not been disappointed with the selection. The building underwent an expansion in 1997, which included another FiberTite roof. Since 1979, FiberTite single ply roof membranes have earned a track record of providing long-lasting protection in the harshest environments. Using a proprietary weaving and coating process, Seaman Corporation manufactures FiberTite membranes with the highest strength yarns and densely packed fibers. Elvaloy® Ketone Ethylene Ester (KEE) is the foundation of FiberTite's proprietary coating formula, ensuring the membrane's long-term strength and continuing flexibility in all types of environments. FiberTite membranes have unmatched resistance to tears, punctures, UV rays, chemicals, fatty acids, oils and grease. For more information about FiberTite Roof Systems please call Seaman Corporation at 1-800-927-8578, or visit www.fibertite.com.